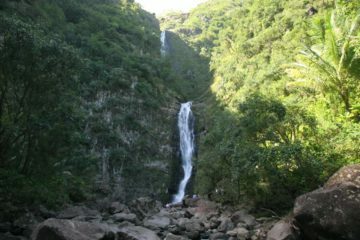 Situated at the head of Oheo Gulch, the 400ft Waimoku Falls dwarfs hikers who have made it to the end of the Pipiwai Trail. 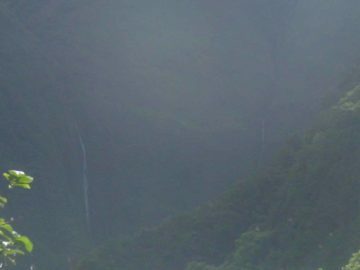 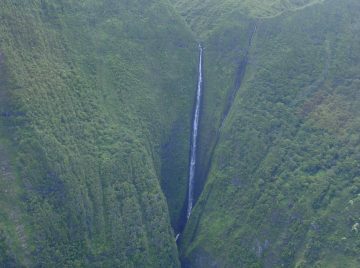 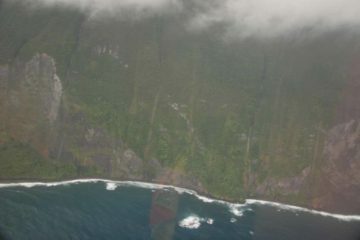 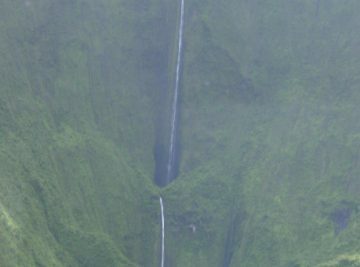 It’s probably the tallest falls on Maui that you can see without a chopper.. 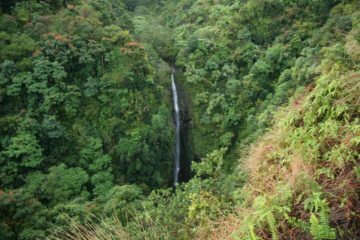 The 184ft Makahiku Falls is one of the more impressive waterfalls along the Pipiwai Trail in Ohe’o Gulch. 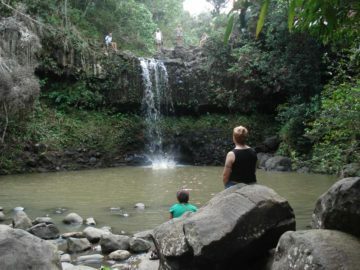 Making it even more alluring is the swimming pool at the top of the falls. 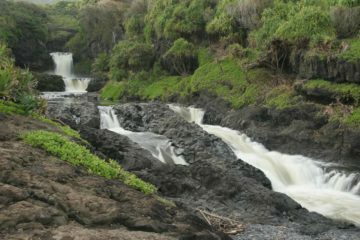 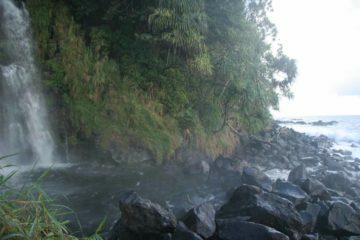 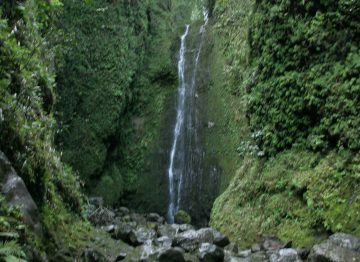 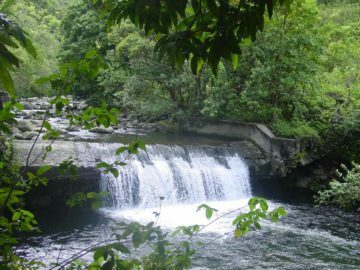 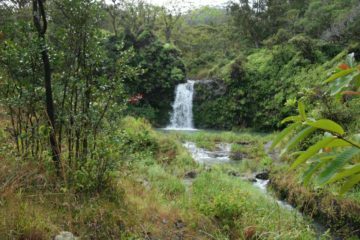 Oheo Gulch has several smaller or unnamed waterfalls that you can see or hear while hiking the Pipiwai Trail. 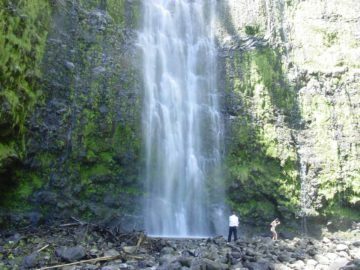 This page captures some of these lesser known ones you might notice during your hike. 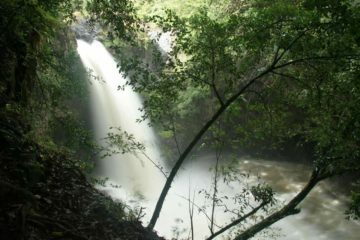 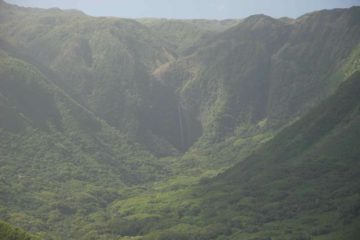 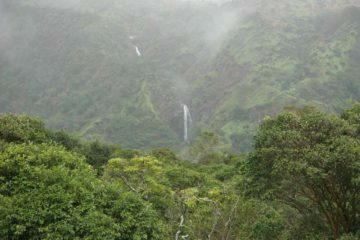 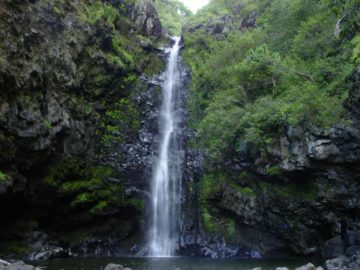 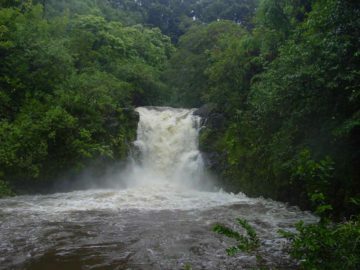 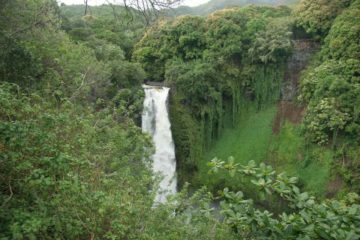 Makamakaole Falls is another rare West Maui waterfall that you can see near the beginning of the Waihee Ridge Trail. 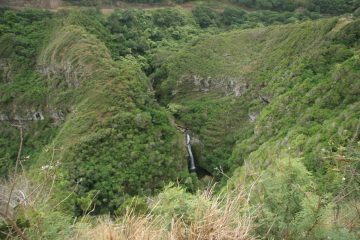 Look for it just as you leave the steep sloping concrete path for the dirt trail..